SSG Basil Zaviski has designed a new coin for the Association and the Coin Committee would like your feedback. It is almost a perfect design Basil. Is there any way you could incorporate buffalo wings into the logo? Just curious, I would buy one then. Very nice work by Basil, Peleshok, and the coin committee. It looks like a winner to me and my wife. Also thanks to Bob Wangen for making this available. Truly awesome, looks BA as it should. It is awesome in every way! Wonderful job gang! Basil, it’s amazing that you could put so much history on a coin. 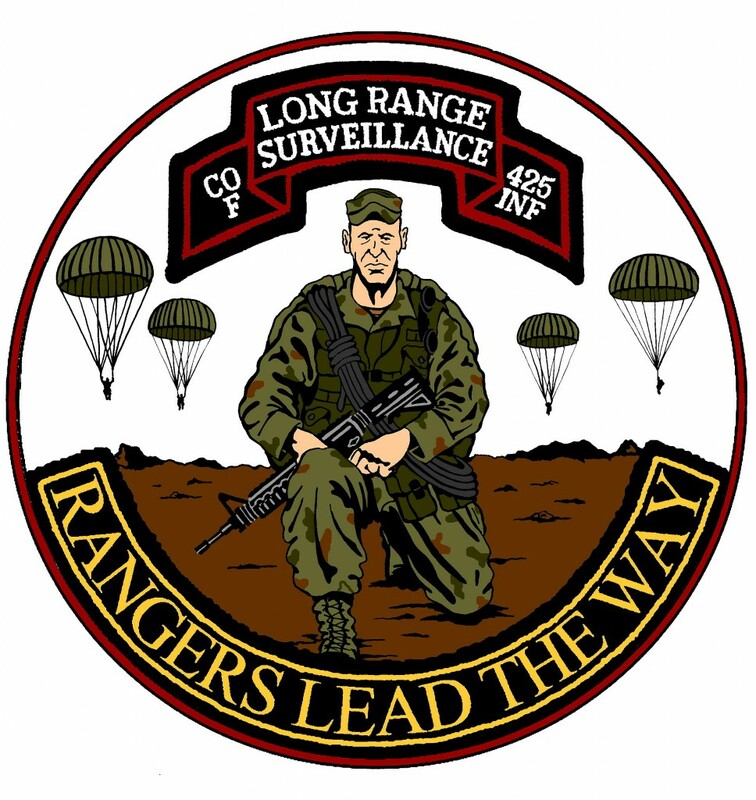 My only suggestion is that since the 425 was an Airborne Ranger Company for 18 years, I’d like to see Airborne Ranger reflected on the scroll on the back of the coin, instead of LRS…which is already on the front of the coin. 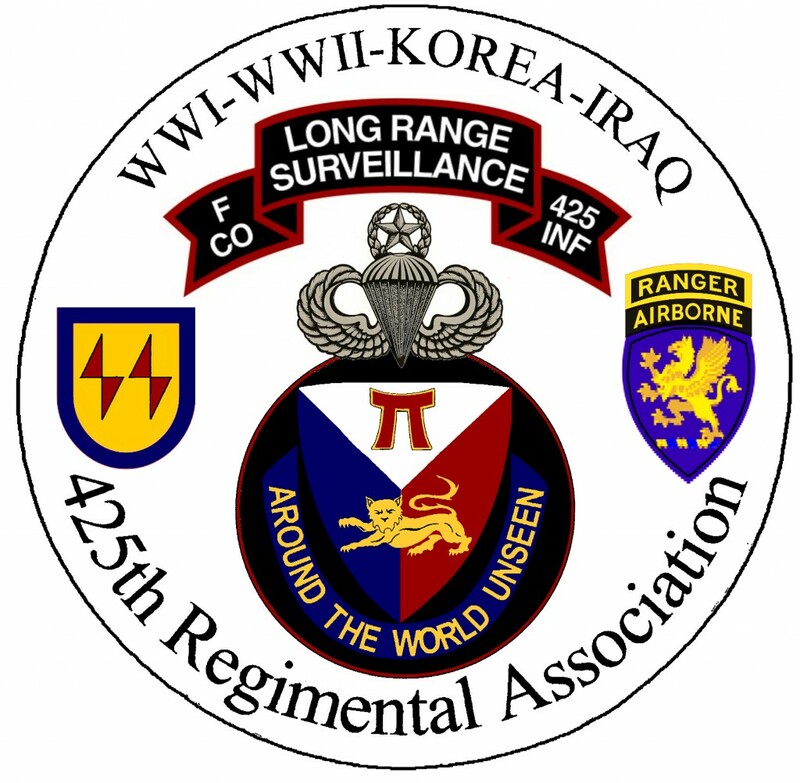 I agree with Don Bugg on the Logo about the Airborne Ranger on the scroll; and I’d add a 3X5 card with the sale of each coin, explaining the histroy of the unit, make a nice additional touch. Looks great Basil, I think I agree w/ Bugg and Sorvick, the old scroll kinda adds some more historical significance to it. So how will we be able to order the coin? Please include Name, address, and phone number with the order. Thanks for the Information. Smokey showed me his other Basil’s other coin a few weeks ago at All Ohio Days, in Toledo. Hey Basil….. The coin looks great!!! I will be ordering 3 for former Co F. members. Talk to ya soon. I agree, the coin does look BA. I will be ordering a few coins myself. I also agree with SFC Compose and Bugg. I would like to see the “Ranger Airborne” on the scroll on the back of coin. When I first came on board The scroll issued to me Read: Co F Ranger Airborne 452 INF. In any case, Great job SSG Basil!!! Looks great! How do we order one? The link is on the home page, but click on this link, http://425regiment.org/?page_id=453, to go to the order form. We also have a similar coin that was donated by Elwood Kyle. It is only 1″ in diameter without colors. But it has a raised feature. You can use the same form that Bob indicated above. They are $7 each and $3 for each additional one. Or you can order one of each for $20. Checking to see if the coin is still available. Coins are available. Feel free to use this site to place your order.